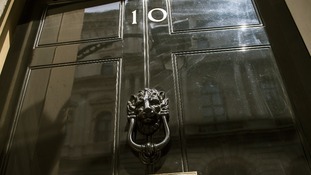 Number 10 will fill the vacant positions on its Policy Unit today. Three replacements are required after Jesse Norman was sacked over the Syria vote. And in last week's reshuffle, MPs George Eustice and Jane Ellison were handed ministerial jobs in DEFRA and Health respectively. Three Tory MPs will join Jo Johnson's team generating Conservative policies for 2015. The Unit was also an attempt to repair strained relations between Downing Street and the parliamentary party. The new recruits were told on Monday of their roles on the Policy Board. The remit of the Policy Unit is to shape Conservative policy - not coalition government policy. Other members of the Board include Tory veterans like former Cabinet minister Peter Lilley, and newcomers who were first elected in 2010 such as Jake Berry and Margot James. The Unit was set up earlier this year in an attempt to create a more "Thatcher-style" policy unit at the centre of government run by politicians rather than civil servants. It has, in part, helped to mend frayed relations between David Cameron and his party. As recently as last winter, a number of Tory MPs were openly talking about replacing their leader.